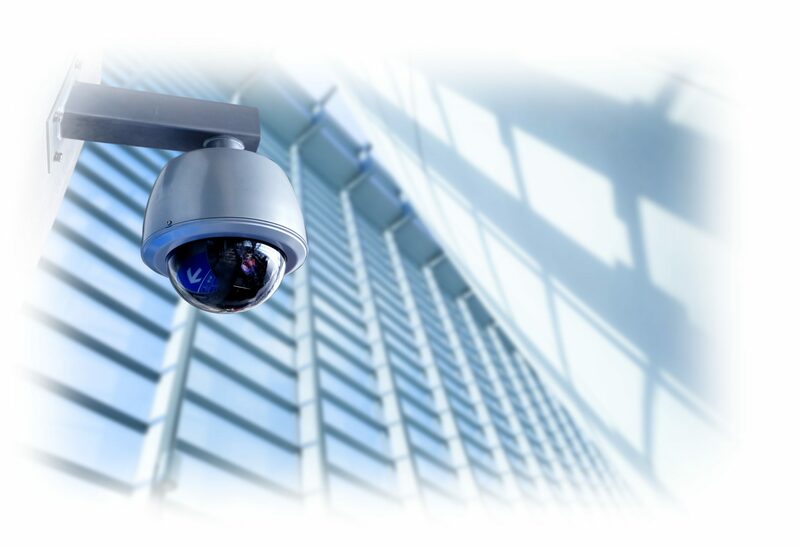 We will help put you at ease with an up-to-date Surveillance System! We will meet with you to evaluate your needs and find a cost-effective system that fits your business. Where do you want your camera located? What functionality and features do you want? Not only can you have a system to record your camera feed, but you can also access the cameras at any time from a mobile device. You no longer need to worry about what is happening while you are away! 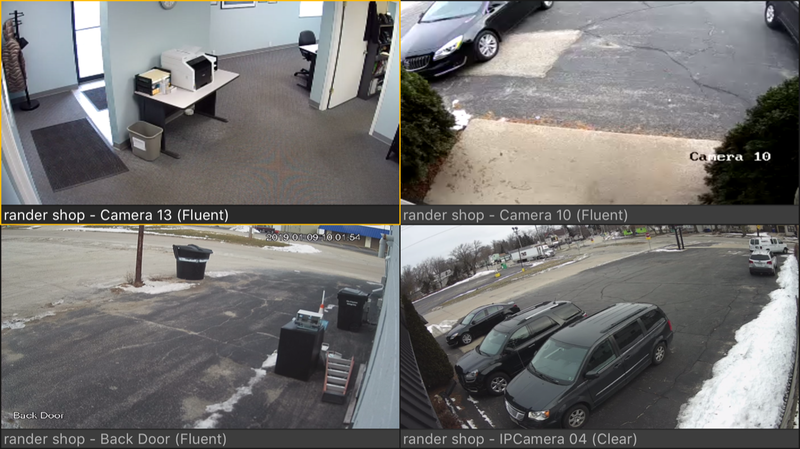 RanderCom can sell and install any type of surveillance/camera system, but have done most of our work with Axis Communications, IC Realtime, Ubiquiti, and UNV. We can upgrade an existing analog system with cameras that offer better resolution. 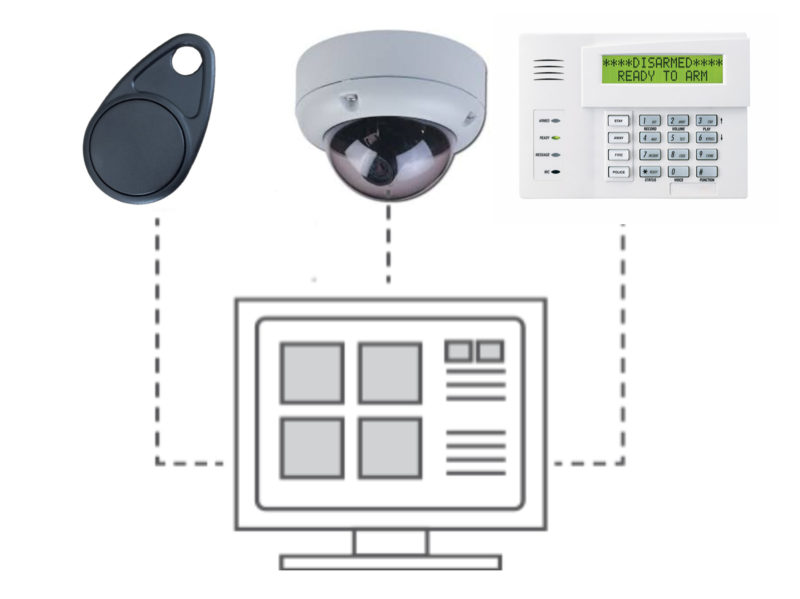 We can also set up an IP camera system that offers longer range and greater versatility. Whatever your needs or goals are, RanderCom’s staff will work with you to implement the best solution. A TruVision Navigator system through Interlogix allows you to integrate your security alarm, surveillance, and access control systems into one. The drag and drop interface is easy to manage and allows one system to connect with another. For instance, you can program your key fob to disarm the security alarm when you or trusted employees enter the building.